The surname Dawe was originally a diminutive of “David”, but probably linked in people’s minds to “jackdaw” or “foolish fellow”. In Victorian times the name was very heavily concentrated in Devon and Cornwall, whereas “Daw” without the final “e” was spread more widely over the South and Midlands. Both spellings are found for this family. George’s father Jabez Dawe was a carpenter, born 1866 In Herstmonceaux, East Sussex. Jabez’s parents were James, a farm worker, and Mary Dawe, both born Walberton. Jabez was the only one of their children to be given such a biblical name. Herstmonceaux is notable for its moated brick-built Tudor castle, although in most of the Dawes’ time this was a ruin (restored only from 1913-33). The civil parish of Herstmonceaux includes Cowbeech and the hamlet of Cowbeech Hill, both within the ecclesiastical parish of St John the Evangelist, Bodle Street Green. Bodle Street Green is a small hamlet two miles north-west of Herstmonceaux where the names on the War Memorial include George Dawe. All these small villages feature in the Dawe family history. In 1871 James and Mary Dawe and their family, including the four-year-old Jabez, were living in Bodle Street Green. Ten years later, in 1881, the fourteen-year-old Jabez is still living in Bodle Street, working on a farm, like his father. 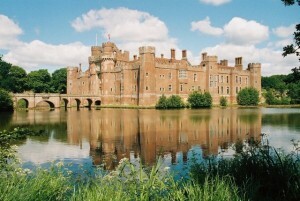 Seven years later, aged 21, he married Esther Winchester aged 19 on 31st March 1888 at Herstmonceaux Church. Over the years the couple had ten children, three of whom died: details not certain – two of them could be the Alfred Dawe born and died 1889, and Mabel Dawe died 1907 aged six. By 1891 Jabez was working as a carpenter (perhaps trained by his father-in-law or another of the prolific Winchester family, many of whom worked with wood). 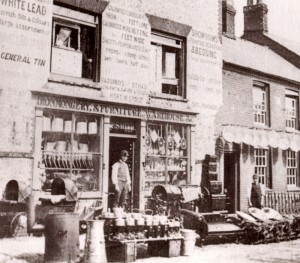 Jabez and Esther and their two-year-old son Albert are living in Cowbeech (about three miles west of Bodle Street) among a cluster of Esther’s Winchester family members, several in the building trade. Ten years later, in 1901, Jabez and Esther are living on Cowbeech Hill. They have five surviving children including George, their second son, who is six. Interestingly, a gamekeeper is living nearby – one wonders if he encouraged George to adopt the same career. By 1911 George, brother Albert and sister Elizabeth have left home, but Jabez, Esther and the younger children are still living at Cowbeech. From 1918 (left) to at least 1938 Jabez (of Cowbeech, Hailsham) is listed in the Builders’ section of Kelly’s Directory for Sussex. By 1930 he is also listed as a builder in the commercial section of Kelly’s for Herstmonceaux. George’s mother was born in Herstmonceaux in 1870, her parents being Edward and Elizabeth Winchester. 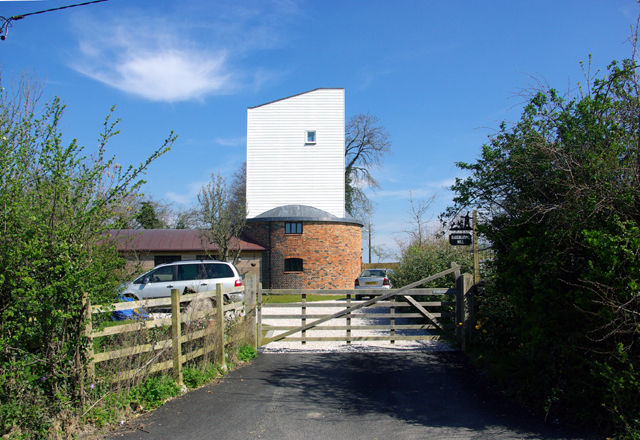 Edward was a wheelwright (son of another Edward, a carpenter) and brother to other wheelwrights and carpenters. In 1871 the young Esther is living with her family in Cowbeech, with brothers and sisters mostly older than her. 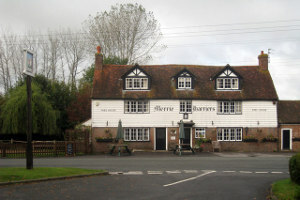 In 1881 the Winchester family are still in Cowbeech, their house being the next census entry to the “Merrie Harriers Inn”. Seven years later Esther was working as a domestic servant when she married Jabez Dawe, and her life then follows the same pattern as his, mainly living in Cowbeech. She survived him by five years, moving to Hailsham before she died in 1958. George’s brothers and sisters are elusive. Some births do not appear to be registered, so their names and ages are deduced from the various censuses: Albert (1888), Elizabeth (1891), Anne (1897), Cecil (1899), Kate (1904) and Wilfred (1910). After the published censuses cease in 1911, some of the siblings just seem to disappear from the official records. 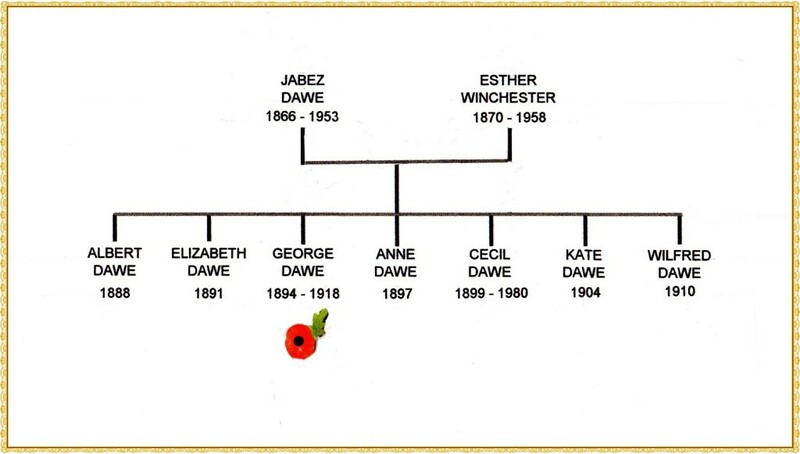 The oldest Dawe child, Albert, named after Esther’s older brother, was born in 1888 in Herstmonceaux and lived with his family for the first censuses. In 1911 aged 22 he is living in Hailsham, at Harebeating Mill. Albert’s uncle James (Jabez’ brother) is the miller and Albert is working as the “miller’s carrier”. That same year, he emigrated to New Zealand and subsequently served during World War One in the New Zealand forces. He died on 28th April, 1968 in Blenheim on the South Island. The eldest Dawe daughter was born in 1891 in Herstmonceaux. She was living with the family in the 1901 census, but not in 1911. In 1913 she emigrated to Australia, where she married Albert Arthur Harper in 1919. She had children and grandchilden, and died in Hobart, Tasmania on 27th December 1980. George of the War Memorial comes here in the family order, born in 1894 and dying in 1918. See his page for more details of his life and death. 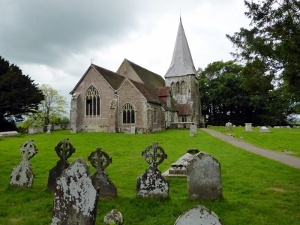 According to the censuses, the next daughter was born in 1897 in Herstmonceaux, but her entry in the birth records has proved difficult to find. Anne, or Annie, features in the 1901 and 1911 censuses, with her family in Cowbeech. She could be the Annie Dawe born 4th April 1897 who died January 1985 in Eastbourne, but in between times she seems to disappear from the records. The third son is actually a little easier to trace through the records. Cecil Dawe was born 6th March 1899. registered in the Birth Index as Daw, and appears with his family in Cowbeech in the 1901 and 1911 censuses. He was just about old enough to be in WW1, but there are no extant service records. However, a Cecil Dawe in the East Surrey Regiment (Private 48360), 4th and 1st battalions, gained the British War and Victory Medals, and a Cecil Dawe married Eliza Lydia Walker in Hailsham district in 1927. “Our” Cecil was definitely alive in 1958, because he was his mother’s executor that year. A Cecil Dawe died in 1980 in Eastbourne district. Kate Dawe was born on 29th May 1904. Her full name was “Lilian Kate”, after her aunt (daughter of James, the brother of Jabez). She was with the family in the 1911 census, and presumably the Lilian Kate who married Maurice Puttock in 1935. They seemed to have had at least one child. Maurice was born in 1908 in Hailsham district, the son of a Hailsham ironmonger dealer. He became a local government officer. Wilfred was born in Hailsham district in 1910 and appears with the family in the 1911 census when he was one year old. Thereafter he is difficult to trace. This is a composite list of the sources consulted for all members of George Dawe’s family, but details for the individual family members are available if required. Virtually all of the sources mentioned can be viewed online via Ancestry, Find My Past and Free BMD.